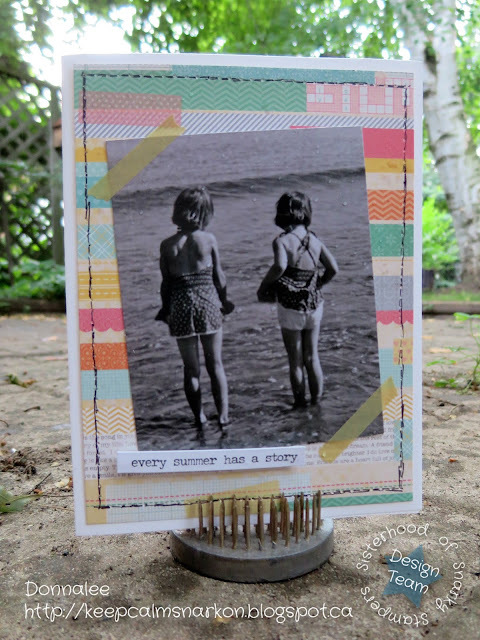 Thanks for coming by today to check out the latest challenge from Edna and the Sisterhood of Snarky Stampers! Edna seems to be surrounded by her brood of ankle biters!! 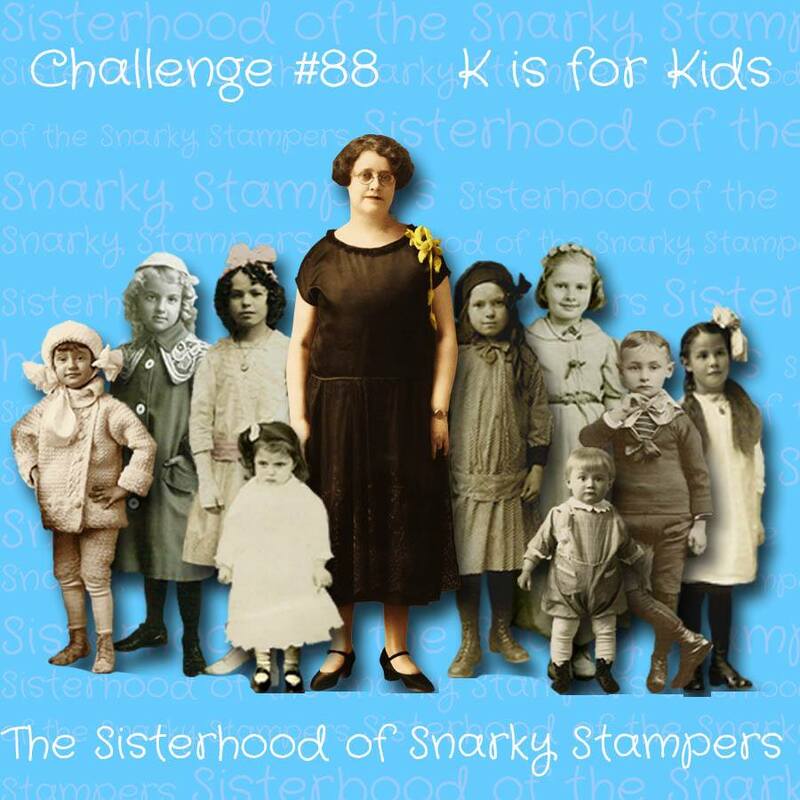 She may be regretting the K is for Kids challenge about now! While you are there please share some crafty loves with our reigning Queen of Snark and the rest of the sisterhood! This card is soooooo cool! I can just see the inside story: "....like the summer we stood in the ocean flashing the pelicans." Buahahahahaha!!! I love that sentiment-- it's true. Really beautiful. Oh just look at those bathing suits, kids these days would laugh them out of the water! Adorable image and fabulous card. Okay I want to know what the story is.. come on tell.. Remember, the only thing that gets peed on is a certain jellyfish sting. Or the first time they disposed of a body. Cute card, Donna. Chris and I will work on the story.